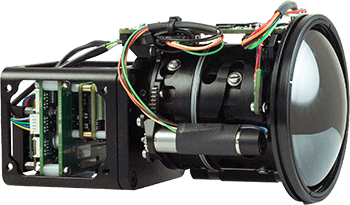 The Vinden 75 is the industry-leading compact continuous zoom thermal camera. 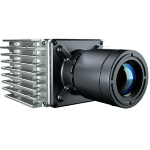 It delivers continuous zoom, advanced image processing, and high-performance long-wave infrared (LWIR) thermal imaging in an unparalleled small weight, power and cost (SWaP-C) package. The Vinden 75 is perfect for integrators, providing multiple interfaces, video streaming and video processing capability. 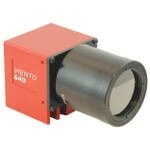 The athermalized lens allows for both very wide (59°) and narrow (6°) horizontal fields of view (HFOV). 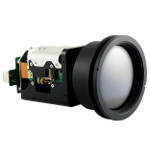 Highly tuned one-touch autofocus runs swiftly and consistently through the zoom range. 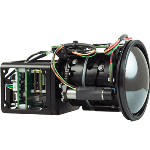 Both short or narrow form-factors are available, meaning the Vinden 75 is perfect for integrators of unmanned ground/aerial systems and security and surveillance products. 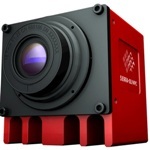 The Vinden 75’s 12-µm 640 x 480 thermal imaging core employs a small pixel size providing high sensitivity and high framerate video. Inside the core is a powerful processing engine that delivers Ethernet and serial connectivity, MJPEG/H.264 encoded IP video streaming, electronic image stabilization, digital zoom, 32 GB of onboard storage, and advanced image processing operations such as manual and automatic gain control, target tracking and detection, adaptive contrast control (CLAHE/LAP), and a wide range of color palettes. 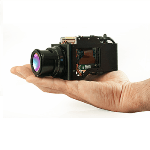 The LWIR camera is regulated under the U.S. EAR regulations (non-ITAR) and can be purchased with either a 60 Hz or 7.5 Hz framerate sensor.